At Kent Solicitors, we provide a comprehensive approach to your legal matter and will ensure that you receive a first class service which is personalised to your particular legal needs. Your solicitor will be responsible for ensuring that you receive straight-talking, accessible and easy-to-understand legal advice and you can rely on dealing with the same solicitor from the beginning to the end of your case. 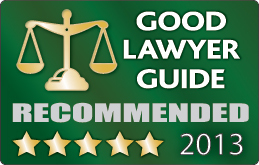 We are a team of highly professional qualified lawyers whose unique approach appreciates that every client is different and every legal problem unique; as such we offer a bespoke service to suit you. We not only resolve your legal problem but also provide you with support during and at the end of your case so as to remove any worry and leave you feeling comfortable in the knowledge that you have received the best service. Legal Aid is available for Criminal Law matters, we offer simple, transparent fixed fees so that you know exactly how much your case will cost with no surprises and special lower rates are available for clients who are in receipt of benefits. Please call us to discover how our refreshingly different approach and practical solutions can help you.